We really appreciated hearing from the hiking public as they interact with our AMC Volunteer Trail Crew programs on the trail. 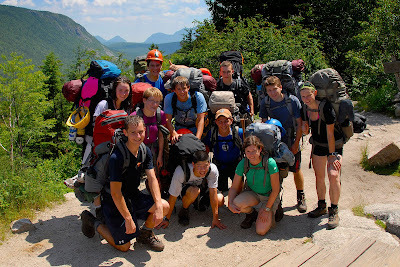 When I came into the office this morning I had an e-mail from Ken and Ann Stampfer about their interaction with the 2-Week Teen Crew hiking up to Zeacliff Pond yesterday, 7/5/2010. We were pleased and impressed to meet Ashley with her teen trail crew yesterday at Zealand Falls Hut as they were preparing for a few days' work on the Twinway in this hot and humid weather. As long-time hikers and AMC members, we appreciate the enthusiasm and hard work of your staff and volunteers to care for the trails we often take for granted. Now we'll be sure to make a donation to the Trails Fund on the website.